Halloween Houses. A free pattern and Quilt Along by Daydreams of Quilts. The only person to link up their finished top in my link-up was Anita Sharp. She automatically won the $25 US gift certificate to Fat Quarter Shop. Thank you so much Anita (same name as me! 🙂 ) for quilting along with me and keeping me on track with my Halloween quilt. So here is my Halloween Houses quilt top on the front of my own Halloween House. We finished decorating this weekend so we are all set for the big night on Saturday. I am going to take a break from blogging for a couple of weeks but I will be back with a couple of projects that I am working on for Fat Quarter Shop in November. I love love love this Halloween quilt! So clever! Happy Halloween! Have a safe and lovely time and share lots of pics ❤️??? Looks good, Anita! 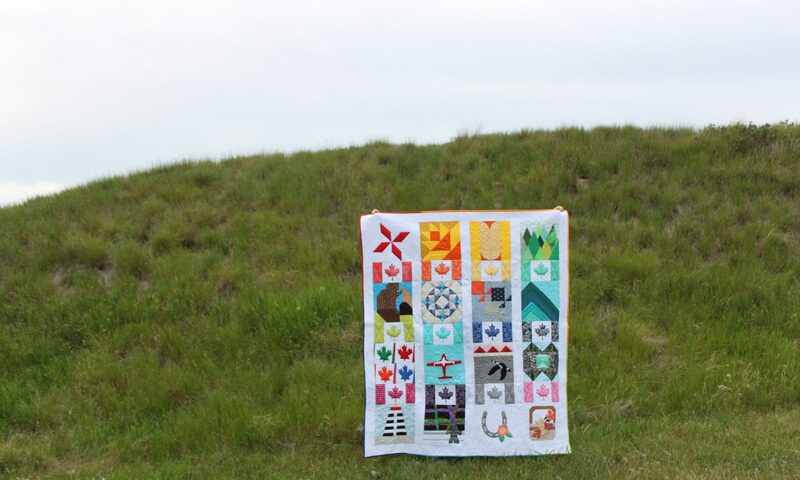 I like that your quilt tells a story. I learned a lot from this QAL! Thanks for the inspiration! PS. Your quilt is HUGE!!! Previous PostPrevious The Halloween Houses Quilts Along Link Up!